BBC NEWS | UK | Wales | Wales politics | Who could succeed Rhodri Morgan? 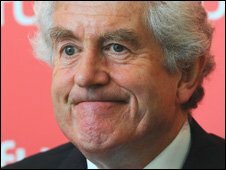 Who could succeed Rhodri Morgan? The three potential successors to First Minister Rhodri Morgan have all been unstinting in their praise for him. All say his are the "biggest shoes to fill" - but underneath these words are very different characters, with different backgrounds and who could appeal to different parts of the party. Their task will be to define themselves as his "true" heir without causing too many internal ructions within Welsh Labour. But for all three it is a difficult balance to strike. They need to promote their difference from each other, but not to the extent of prompting a civil war within Welsh Labour. They must also maintain that each is the one to take over from Mr Morgan after almost 10 years at the top when he became one of the most instantly recognisable figures in Wales. So what do we know about them? 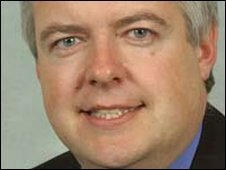 CARWYN JONES: The Bridgend AM, counsel general and leader of the house is widely seen as the favourite in the race. Politics: Bridgend councillor, 1995 - 2000, Bridgend AM, 1999 - date, various ministerial roles, including rural affairs, open government, environment, currently counsel general. His supporters will talk of his "broad appeal", his communication skills and capable handling of difficult policy issues. Others outside his camp whisper that he is bland and argue that he has not done enough to build a public profile, despite his job as minister for communications. He is the only fluent Welsh-speaker of the three candidates, but that does not mean he is a closet nationalist, he insists. That, it is claimed, just emphasises his ability to 'reach out to new supporters'. 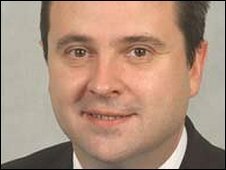 Albert Owen, MP for Ynys Mon, believes the Bridgend AM's appeal will be across all sections of Welsh Labour. "I worked with him for many, many years and it's that broad appeal that I think is very important," he said. 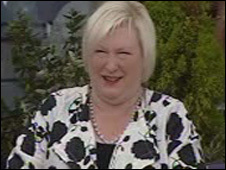 EDWINA HART: The AM for Gower and health minister is usually regarded as second favourite. Another cabinet heavyweight with strong support among senior AMs such as Andrew Davies, now her campaign manager. She was the assembly's first finance secretary in 1999, moving to social justice and then health and social services but she is said to lack a strong base among MPs. She is seen as firm and decisive, but that has carried risks and she is accused in some quarters of not being a "team player". Her reorganisation of the NHS in Wales was a political high-wire act as it offered to Labour's opponents a chance to attack the expense of "another" shake-up of the health service after the changes of her predecessor. She also controversially decided to save the neurosurgery department in Swansea as well as Cardiff. A decision she made in the face of official advice and an independent review. She is not entirely comfortable dealing with the media and is notoriously camera-shy, and once again that could count against her. "I think the biggest selling point perhaps she has is the fact that she's extremely decisive," said Daran Hill of Public Affairs agency Positif Politics. "I think she also has a strength in terms of her long-term commitment to the Labour movement." But she will need to move beyond her strong support base among trade unions. HUW LEWIS: The AM for Merthyr Tydfil and Rhymney is viewed as the outside bet in the race. Huw Lewis is viewed as an outsider who has been in and out of the assembly government - to his supporters it makes him a man of principle, to his critics it reveals a man who is not suited to lead the party. He resigned as a deputy minister over the disposal of carcasses in his patch during the foot and mouth crisis, and strongly opposed the partnership deal with Plaid Cymru. His appeal across the party comes not from someone with a cabinet platform but as a backbencher who can speak his mind from the left of centre and who can promote his valleys credentials. Mr Lewis chairs the assembly expert group on child poverty and has criticised Westminster's failure, as he sees it, to tackle the problem properly. He is learning Welsh and that could help overcome any perecved problem over his attitude to the language. He says he will abide by the deal his party has struck with Plaid Cymru. He talks of "drift" during the last three elections that he wants to halt with a "radical and bold vision". As an outsider in the race and seen as the voice of the backbenchers he is banking on that "different vision" to swing votes his way. A steadied ship or a missed boat?